In the internet marketing world it’s almost a sin to not know what a webinar is. However, for the general public…they are confused trying to figure out “What is a webinar?”. While I understand fully what a webinar is and how to use them to grow your business online, I believe I’ve identified where the confusion has been introduced. Before tools like GoToWebinar and WebinarJam were available to all internet users, business owners were stuck with either doing a teleseminar (think a conference call on a larger scale) or doing webcasts (Powerpoint slides presentation over the internet). So when the ability to have an online meeting via a webinar became an option a lot of people were left confused with how it differs from the previous solutions. Well the difference is pretty big. May not seem like it at first, but as we dive deeper into implementation I think it will be obvious why so many entrepreneurs have added webinars to their online tool box. For the record, webinars are much more than video conferencing online or online meetings…they are all of that and some. The most basic definition of a webinar would be “presenting the content of your computer screen to a group of people”. Most online business owners use Powerpoint or Keynote to display the content. First, you complete your presentation you would like to show. Then you log into your webinar software (more on this later) to allow it to display the presentation across the internet live. Lastly, using a telephone line or computer headset; you talk over the slides as you present them. Similar to a virtual classroom. From the comfort of your home, you now have the ability to present your information to the world in a visual manner. Whoop Dee Do, What’s So Great About Webinars?? Perhaps it’s because I’ve been holding back the real power of webinars. 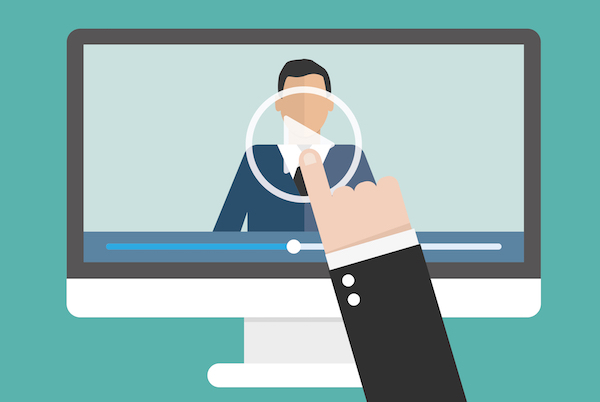 Though widely used, the real power of webinars is not in showing presentations alone. Remember, what ever content that is on your computer screen can be shared to your attendees. Webinars allow you to accelerate the learning process by adding a visual element that was not easily accessible to business owners in the past. For entrepreneurs this means the cost of education has just been minimized and the reach of your marketing maximized. Futhermore, most people have a fear of public speaking. With webinars you simply speak into a mic (or telephone) while looking at your computer screen. No stage fright or having to practice seeing people in their underwear to alleviate your nervousness. Simply put, if you can talk to yourself…you can host a webinar. Not to mention that attendees can interact with you quietly while you present via online chat. Most people who won’t ask a question out loud will more than likely feel comfortable typing it in the chat box. Perhaps the group that benefits the most from webinars are online entrepreneurs. Creates events. People are more prone to sign up for an event than they are to click a link or fill out a form asking for their email address. This is because we are trained to treat events with more importance. Higher priority. Builds email lists quick. Since more people are prone to act towards events, the potential to convert this action into subscribers is greater. If an ebook or free report is not enough to prospects in exchange for their email, most the time a webinar is. Creates authority. By hosting a webinar you create an immediate effect of people looking up to you. This is because you are doing something they either A) fear doing themselves or B) don’t know how to do. Either way, since you “appear” to know more you are perceived as being smarter or “better” than the rest. Creates products automatically. Most webinar services allow you to download the video and audio of the live webinar. This means you can run replays for people who were unable to attend. Furthermore, you can keep an archive of all the webinars you’ve hosted on a specific topic and offer it as an information product in the future. Creates coaches. You can offer private coaching sessions via webinar to a select group of people to teach on a specific topic. Most of the time this type of coaching is more expensive since it’s a smaller more intimate group of people. It also allows the host to go into greater detail about a given topic. What Webinar Software Should I Choose? There are other solutions on the rise but these are the two I’ve seen used more widely by online entrepreneurs. It’s important to note that all webinar platforms are not created equal and they can get to be pretty expensive for someone just starting out online. Also, the solutions presented in this post are for live webinars and not automated or evergreen webinars. 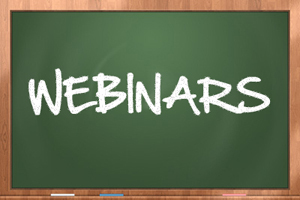 Nevertheless, if you plan on running webinars in your business you can’t go wrong with either option listed above.